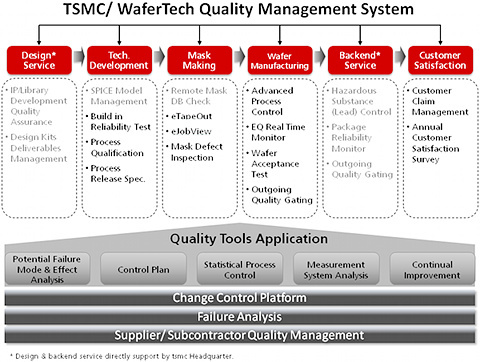 WaferTech, as a part of TSMC, shares TSMC's quality management system which is constructed through core processes (semiconductor process technology research and development, wafer manufacturing, customer service, and associated services such as design services, mask manufacturing, wafer probing, bumping, in-house or outsourced testing) to support WaferTech & TSMC's business strategies and assure customer satisfaction. WaferTech follows international quality standards, including ISO 9001, ISO 14001, QS-9000, ISO/TS 16949, IECQ QC 080000 and OHSAS 18001 to establish its quality system infrastructure. WaferTech integrates company resources from materials management, Fab operations, risk management and quality control to mitigate the supply chain risk. 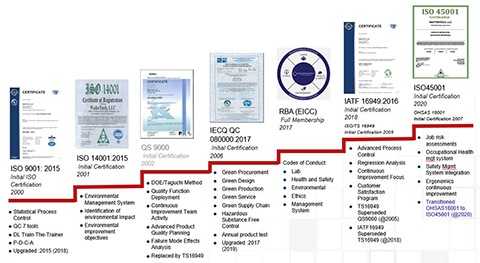 In addition, to ensure raw material quality, WaferTech has established the eCoA (Certificate of Assurance) and eCoA SPC control system for monitoring suppliers' process capability. WaferTech also holds routine performance reviews with suppliers together with on-site visits to share the best practices in terms of quality management and to maintain a beneficial supplier partnership. Manufacturing excellence requires a robust and error-proof quality system to sustain the parts-per-million (PPM) level of operations through cost-effective and efficient methods. WaferTech has developed sophisticated manufacturing defense systems to control manufacturing quality and enhance error prevention. 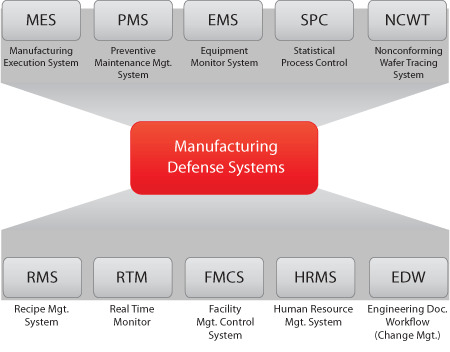 These systems are linked through the Manufacturing Execution System (MES) to perform stringent production control. Abnormal signals from these defense systems notify responsible technicians to take prompt action. These systems mitigate the production risks and guard against any critical deviations in tools and modules processes. WaferTech greatly values customer input, participation and feedback. Each year, the Company conducts a customer satisfaction survey to assess customer satisfaction and to ensure that customers' needs are adequately understood and addressed. This annual process invites all active customers to participate either through an on-line survey or a one-on-one interview conducted by an independent consultant. In addition, our Customer Claim Management (CCM) system provides timely management of all customer claims geared to contain and quickly resolve any problems.